Are you bored of spin classes and biking the same old trails at home? The cure is Vietnam. 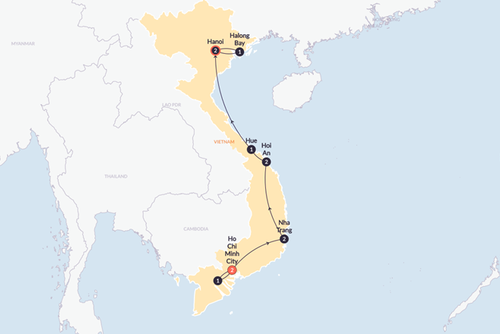 This 14-day trip is one of Asia's classic cycling journeys, riding from Hanoi to Ho Chi Minh, giving you a unique viewpoint of the countryside. With thousands of kilometres of stunning beaches and beautiful coastal roads, as well as some of the freshest seafood around, this trek is an indulgent experience whether in or out of the saddle. Prepare to have your cycling legs challenged. Explore Hanoi and watch a show at the famous Water Puppet Theatre before boarding the Reunification Express for an overnight train journey. 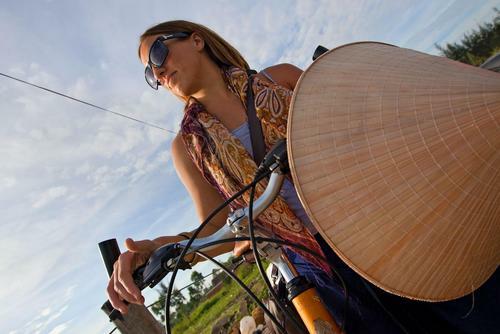 Cycle through Hue and to landmarks like the Citadel and Tu Duc's tomb. 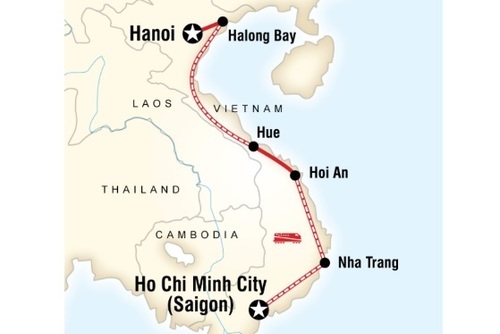 Take a full day exploring the countryside to the south of Hue before continuing along the coast following the route of the Reunification Express. 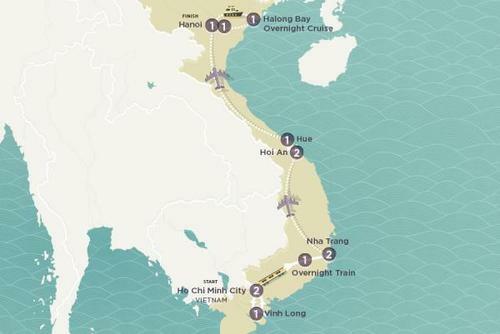 Cycle up and over the famous Hai Van Pass – the geographic north-south divider of Vietnam. Cycling this stretch is a great adventure. 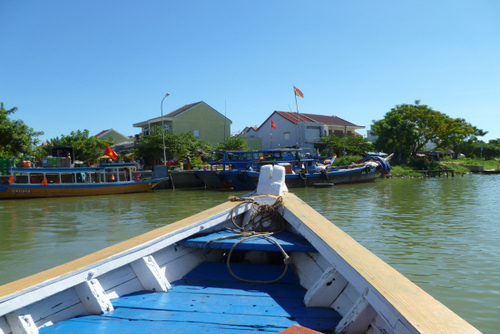 Travel to the picturesque Hoi An and enjoy the historic town. 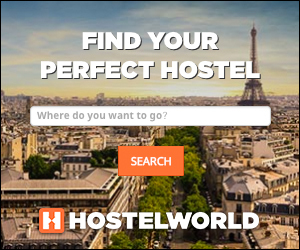 Take a day to relax and rest in Hoi An after a challenging day of cycling. Enjoy a noodle making demonstration and lunch at Oodles of Noodles, a Planeterra-supported project. 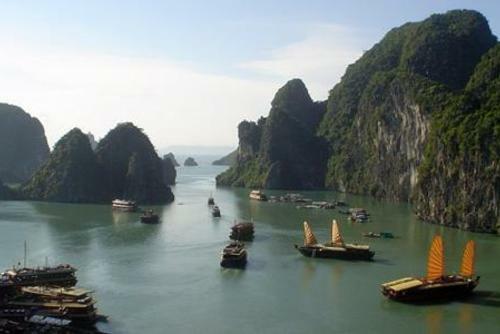 Cross the Thi Bon River by boat and continue cycling along the stunning Vietnamese coastline. 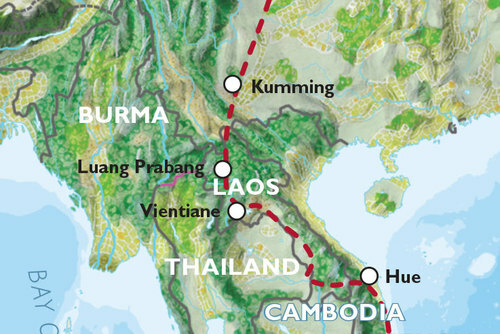 The route to Tam Ky is filled with picturesque views and tall sand dunes. 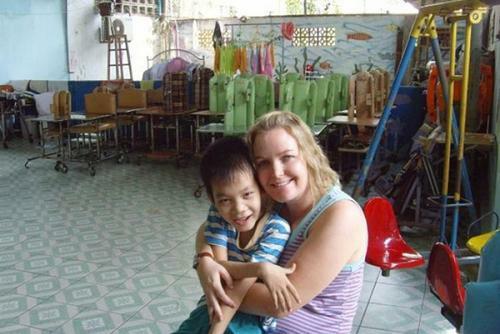 Overnight in Tam Ky. Follow the backroads of Vietnam, passing paddy fields and villages to My Lai and the sobering Massacre Monument. 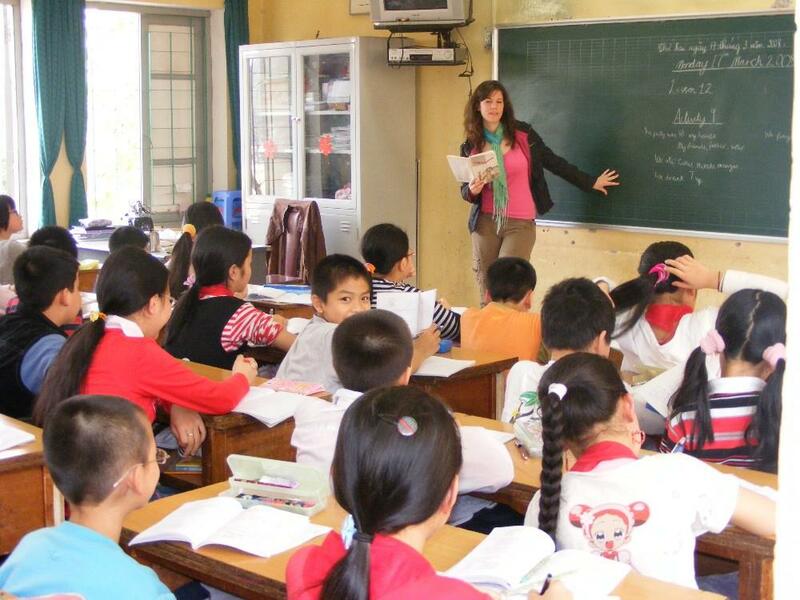 Continue by bus to Quang Ngai and unwind by the coast. Cycle south along the coast. Stop at Dai Lanh beach before continuing by bus to Quy Nhon for the night. 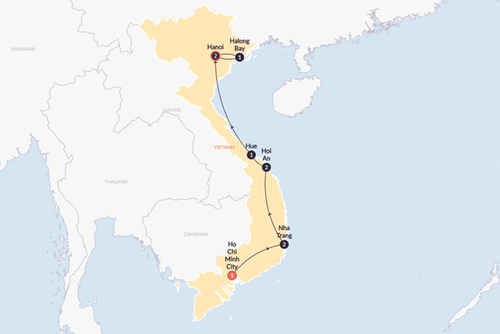 Pedal from Quy Nhon to Tuy Hoa – the longest cycle of the trip. Follow the coastline over undulating hills all the way to the beach. 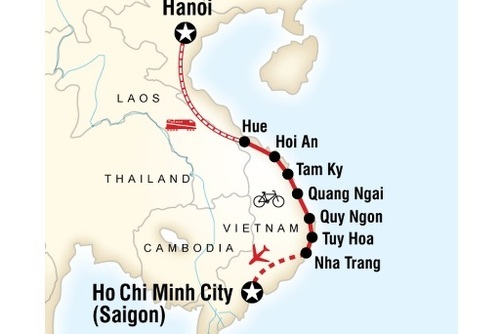 Cycle the coastal route to Nha Trang. Pass beautiful beaches, friendly villages, and thousands of waving children. In Nha Trang, enjoy a free day to relax by the crystal-clear water and celebrate the end of the cycling journey. 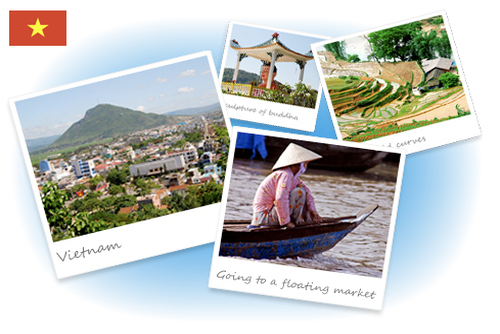 Fly to Ho Chi Minh City, where there is some time to explore Vietnam's biggest and busiest city.